So, my son is a rambunctious, normal 5 year old, but I am telling you, he is forever coming home from school with cuts and bruises and everything in between. He plays hard. He’s a boy. And while I can blame his cuts and bruises on just being a boy, if I am honest, my daughter is very much the same way. Sigh! The only difference is that my daughter also comes home very cranky. Man, that girl is ALWAYS cranky when she comes home. I don’t know what it is…she loves her teacher, she has friends, loves school, but it’s like everything drops when we hit that door. Perhaps it’s because she’s tired from being so busy all day long. School is a lot to handle for such a young little person and so I am constantly battling her mood. So here’s the trick. Whenever my kids have a scrape, cut, a bruise, an owie, anything really, I know a lot of people like to put Lavender oil on it, and that’s great, but I love to put Helichrysum on it. Just one drop, twice a day. You can also put a drop of Frankincense 30 seconds after the Helichrysum oil. The Frankincense will help the body absorb the Helichrysum better. Anytime I see blood, the first thing I grab is Helichrysum! Helichrysum helps more than Lavendar, plus it helps my daughter’s mood a WHOLE LOT BETTER than something like Lavender! Seriously, I’d pay anything to help THAT!!!!! LOL. Helichrysum is known for helping with deep intense anguish and turmoil. But one of the things I love it for is that it helps with a child being more thankful. So your child comes home totally grumpy, unhappy, miserable, and you put Helichrsum on them, or because it’s a more spendy oil, just have them smell it!!! Within a few seconds, my daughter will be THANKFUL, instead of miserable. She will be that happy, joyful little girl that she is. Instead of seeing the world as the glass is half empty, she is thankful for her life, school, her family, home, etc. Now, I’m sorry, I know what horrible years await me in her teens. She is only 9 now, I can’t even begin to imagine what it’ll be like when she’s a teenager. Lord, help me now! But I do know this….every oil helps your moods, it helps your family’s moods, and there is not a price I can put on helping my children be the man and woman they should become by helping their emotions. Kids have a lot to deal with. School is HARD! School is not like when we were kids. The world gets eviler by the day, and the more I can influence, dare I say MAKE my kids be thankful and be in a good mood, I’m going to take it. What about you? The most important essential oil to never be without if you have kids is Helichrysum. There are just so many things this oil can do! 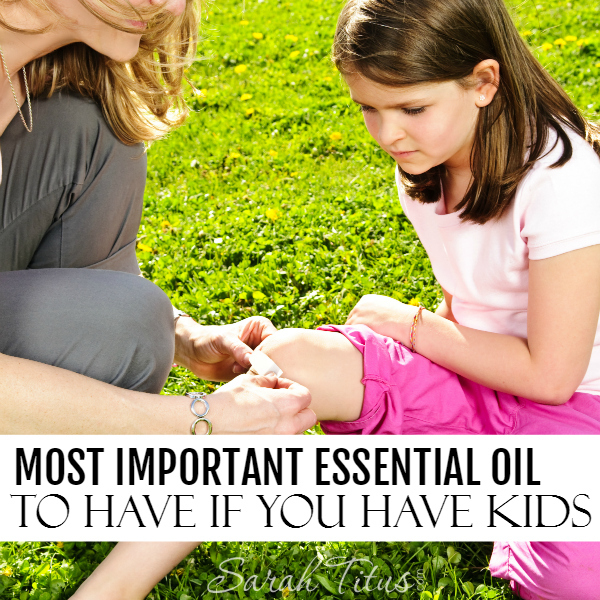 As a mom, you can literally be READY FOR ANYTHING with essential oils! Seriously, in a day and age when kids needs INSTANT relief, this meets that challenge! One bottle of Helichrysum has 80-100 drops of oil in it. It literally lasts a LONG time as you only need 1 drop of oil per day depending on the issue. If you’re dealing with emotions like my daughter, you don’t even need 1 drop, just have the child smell the bottle! Thanks so much for sharing this wonderful post on Oil me UP Wednesdays. Loved the transformation pictures. It has been featured and will be on my Fb page tomorrow. I do hope you will join us again in the morning!! And I love this font!!! I love your before and after pictures. I have helichrysum in my herbal cupboard for when I was healing a nasty eczema flare up but never thought to apply that to cuts and wounds (don’t know why when I know it’s a powerhouse skin healer). Thanks for a great post, I’ll have to pull that baby out with the next injury. Do you know if this would work fading old scars? 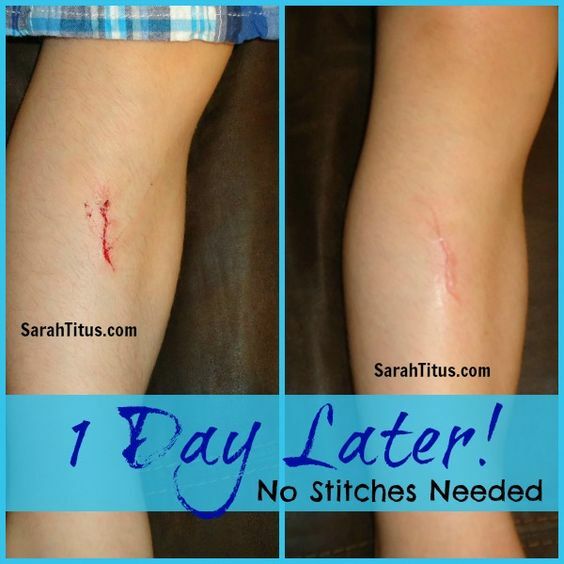 Yes, the Helichrysum oil will prevent any scarring!!! 🙂 It will also heal up old scars as it is regenerative to the skin tissue. Where do you get helichrysum? I have never heard of this before? Hi, do you put the essential oil directly on the broken skin? Wouldnt that burn?? Mika, great question. The fantastic thing about this oil is that it is very soothing. It will not burn the child at all. Lavender would burn more than this oil! 🙂 If it hurts the child to dab it on the wound directly, you can make a spray bottle. 20 drops of Helichrysum oil to 2 oz of water. I’ve personally seen someone who got their face tore off with a motorcycle accident and treated it with a spray of 5 drops Helichrysum, 5 drops Myrrh, 5 drops Frankincense, and 5 drops Lavender sprayed on the wound 2-3 times a day and within 10 days, it was almost gone! No scarring. The oils are simply amazing. On the bottle I just got. It states to dilute one drop to 4 oz…but doesn’t say what. I have major upcoming surgery. That is why I bought it for bruising . Would love to know how ppl are using it. Great question. They are referring to doTerra’s Fractionated Coconut Oil, but if you don’t have any of that, you can use any oil, even kitchen oil (it would be greasier so be aware of that for clothing). Fractionated Coconut is not greasy liek that. After it soaks into the skin, about 1 minute, you can wipe off the excess ‘grease.’ Just so it gives the oil enough time to soak in your skin and work. If you have grapeseed oil, flax oil, canola oil, any type of oil. That would be for a very large bruise. You could also mix one drop of oil with lotion to avoid the greasiness. You would use something like another oil or lotion if you want to cover a larger spot, like if the bruise is big. Otherwise, if it’s the size of a hand palm fist or smaller, you don’t need to worry about diluting it. Just 1-2 drops over the surface of the bruise. For bruises, Lavender and Helichrysum work the best. 🙂 On my daughters leg in the picture, I used Lavender for that one. Hope that helps. Let me know if you have any more questions! 🙂 Will be praying for your surgery. I’ve never heard of this, but it looks like a great one to try! My grand sons are always hurting themselves and each other. My grandson smashed his head into the corner of a wall yesterday and cracked it open. I wish I had some of these oils then. We should get some oils for them. Actually, I’m kind of a klutz too, so I could probably use some too. Sorry to hear about your grandson. I’m a firm believer in being prepared, however, in some cases, it’s good to see a doc, like in your case. A head injury could be serious. Oils can do a lot of really amazing things, but always best to be balanced in seeing docs when needed. Of course, only you know the severity of the injury. Hope he is doing better now. My kids are klutz’s too. lol. I always have bandades, Lavender, Frankincense, and of course Helichrysum on hand with me at all times. Also, is there a risk of allergies with this oil? I look after kids who are accident prone and this would come in handy! There are no known allergies to this oil. Some people are allergic to things like Lavender and many times, it’s really just a reaction to an oil claiming 100% purity but has chemicals in it and what they are really allergic to is one of those chemicals. So, they swear off Lavender forever. There are very, very few cases where someone is allergic to a truly 100% pure oil. Again, most other brands claim purity, but there’s a reason DoTerra is the #1 selling essential oil in the world. 🙂 They are pure and back it up with 3rd party testing. I wouldn’t personally have any trouble bandaging up a child’s wound with the oil that wasn’t my child, but I can’t tell anyone else what to do. 🙂 Hopefully that makes sense. Great Post! Just a side note to add; while doTerra only has the one option for Helichrsyum, other companies actually have two kinds: Helichrysum italicum, and Helichrysum gemnocephalum, and it’s the Helichrysum italicum that has the amazing healing properties. Just a good thing to know! 🙂 I’ve started preaching to all of my friends about the wonders of essential oils. They’re changing my life! Visiting from Turn It Up Tuesday. Great information. I love essential oils. I like that I’m learning about the benefits of a new one today with you! Thank you! Thanks for a great post and pictures! My father-in-law burned his arm while cooking dinner. He immediately applied lavender oil to the burn but felt no relief from the pain. I had him apply helichrysum to the burn and he was all amazed. He thought lavender was the go-to oil for burns; now, he turns immediately to helichrysum. I couldnt navigate the website you linked so I googled it, normally I order from New Direction Aromatics and I see that is is $45 for a SAMPLE size through New Direction Aromatics! Wow! Is it cheaper through the link you gave and how do I get to it on that page? Kaela, great question. doTerra recently changed their website. You’ll click “SHOP” in the top navigation bar and then follow the prompts. You’ll get to a page where you see their products. It’s under essential oils. I’m not sure how big a sample is with New Direction Aromatics, but doTerra’s bottle has 250-300 drops in that 5ml bottle and it’s only a little more in price than that, so WAY cheaper. Let me know if there are any hiccups getting to the page. hi just wondering if its safe enough to use on 18 month olds? Great question Ash. I can’t advise you what to do as I’m not a doctor, but I can say that for my little ones, I would personally feel comfortable putting half of a drop to one drop of Lavender or Helichrysum oil on if using the oils properly, according to the Modern Essentials book. I will try it. Hope it works on tissue repair as well as emotions. Thanks. THANK YOU! This may be my answer! As soon as I can afford it I will get a bottle! A thought for you, my Sister (and Husband) are Missionaries in Botswana Africa. But last year when on deputation traveling all the time, she used oils to keep going (she has Lyme’s really bad as well as hereditary migraines and six miscarriages in the last two years) (she is in her mid to late forties and no babies, desperately wants one…) ANY WAY…. My point was, they used a car diffuser made for essential oils. She said it was amazing! Great idea Audrey. The car diffuser made #9 in the reader favorites gift guide, it’s so popular! 🙂 Here’s that post for those interested and here’s the diffuser on Amazon. I am so with u! I discovered helichrysum oil last year when I started working with essential oils. The aliments it works on seems to be endless, it is Fabulous for age spots btw. Throw out that styptic pencil as nothing stops bleeding & healing faster! I’ve even use it for my fibrodmyalgia symptoms with great success. Although I’m not a doctor, I can’t advise you, but I can say that if it were me in that situation, the roller bottle would be the perfect blend and wouldn’t burn. Since it’s painful, the roller tip might hurt, so you could just dab it on your finger and then on the owie so it’s softer contact. Dear Sarah, you do not have to fear the teenage years. Our teenagers were wonderful, loving and happy teens and yours can be too. Keep praying over them…..we used the Scripture in Isaiah 54:13,17. We still speak these precious words over them even though they now have families of their own. We stand with them believing they too will have loving, obedient, wise, fruitful children. And they do!